The Econo Negotiator Invader nozzle was designed around price, providing a quality, Australian made, thrusting nozzle at an affordable price. The rounded nose easily negotiates traps & gullies, featuring 6 rear thrusting jets and the option of either 1 or no front jet. 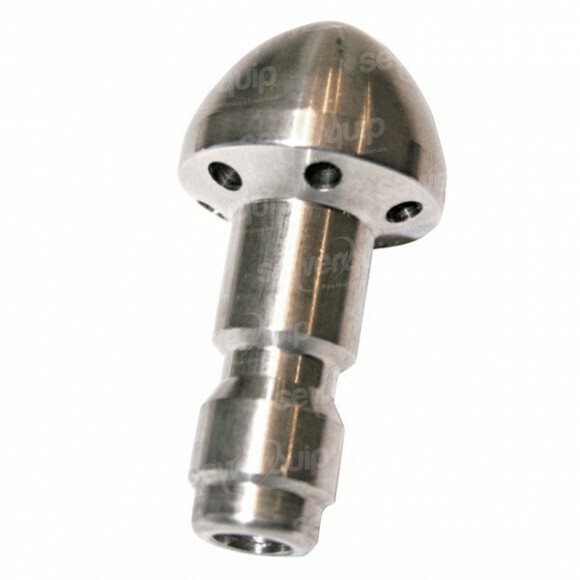 It includes an inbuilt quick connect tail that reduces the overall length of the nozzle.